Kleenâ€“PailÂ® meets HACCP guidelines as dedicated-use, labeled containers for cleaning and sanitizing solutions. Color-coding helps minimize any potential confusion between cleaning and sanitizing solution containers and meets HACCP guidelines for cleaning and sanitizing cloths. 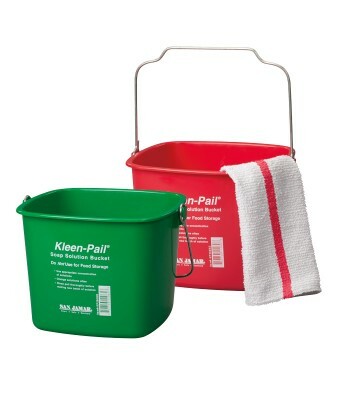 Use green Kleenâ€“PailsÂ® for cleaning solutions and red Kleenâ€“PailsÂ® for sanitizing solution.